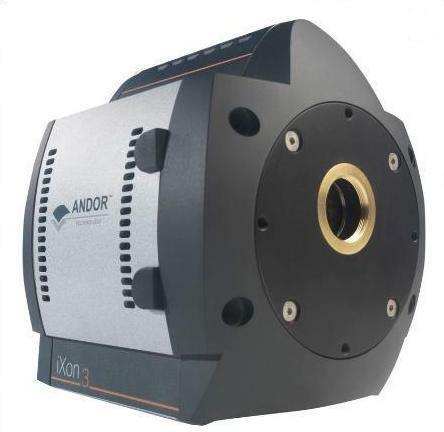 Andor’s iXon design ensures the absolute highest sensitivity from a quantitative scientific digital camera, particularly under fast frame rate conditions. 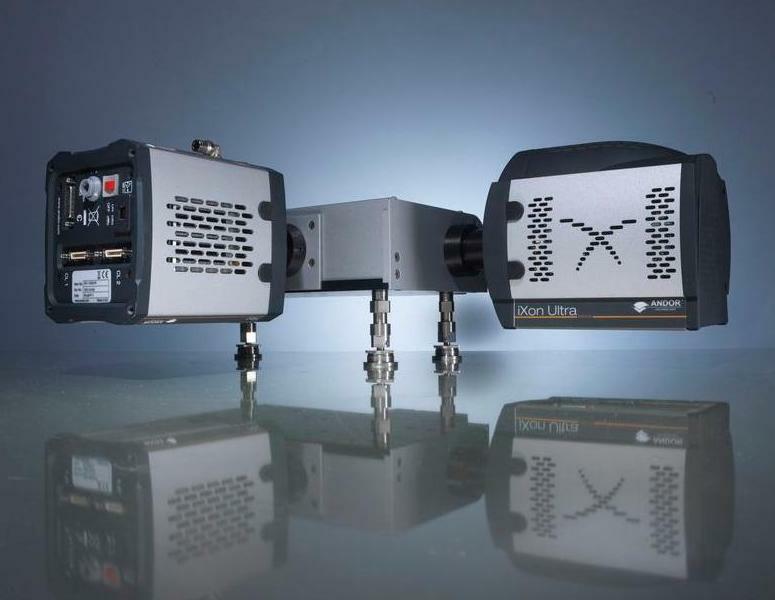 The NEW iXon Ultra innovation has raised the bar considerably, pushing frame rates to over 60% faster, the data stream transmitted through a convenient plug and play USB 2.0 interface! Andor’s proven UltraVac™ vacuum technology, carrying a 7 year warranty, is critical to ensure both deep cooling and complete protection of the sensor. EX2 Technology Extended QE response, beyond standard back-illuminated. 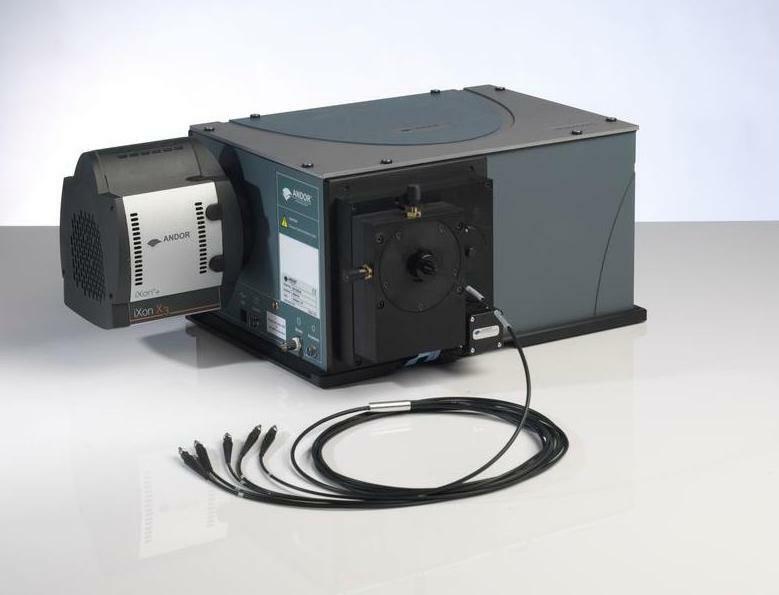 Market leading TE cooling to -100 °C Critical for elimination of darkcurrent detection limit. 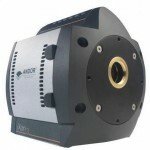 Cropped Sensor Mode Specialized acquisition mode for continuous imaging with fastest possible temporal resolution (e.g. iXon Ultra offers 595 fps with 128 x 128 cropped region). 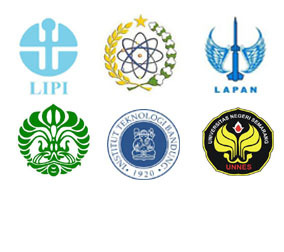 Use with microscope accessory. Fringe Suppression Technology Reduced etalonging in NIR. OptAcquire™ Optimize the highly flexible iXon for different application requirements at the click of a button. 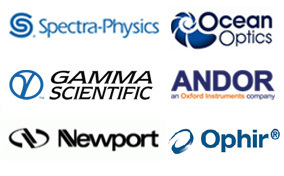 Count Convert Quantitatively capture and view data in electrons or incident photons. Applied either in real time or post-processing, Count Convert does this important conversion for you. 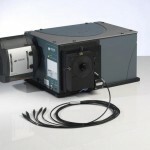 RealGain™ Absolute EMCCD gain selectable directly from a linear and quantitative scale. EMCAL™ Patented user-initiated self-recalibration of EM Gain. 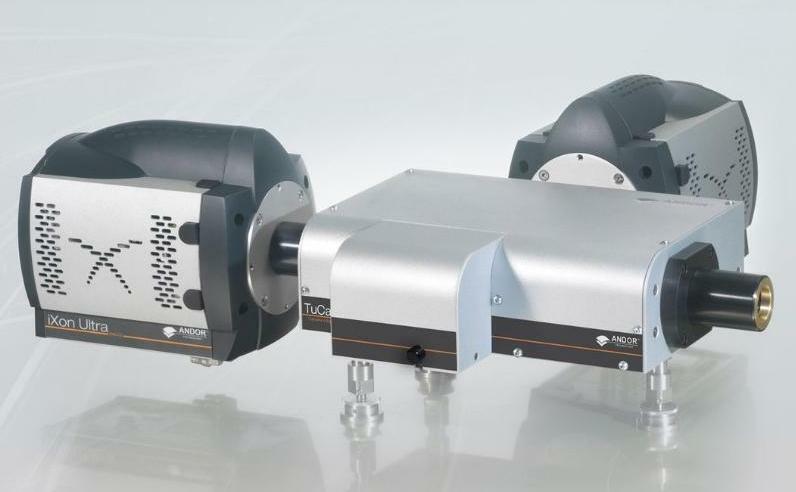 Superior EM Quantitative Stability and Baseline Clamp Essential for quantitative accuracy of dynamic measurements, effective even with new iXon Ultra 17MHz readout speed. Minimal Clock-Induced Charge Unique pixel clocking parameters, yielding minimized spurious noise floor. UltraVac™ Critical for sustained vacuum integrity and to maintain unequalled cooling and QE performance, year after year. 7 year vacuum warranty. Spurious Noise Filter Intelligent algorithms to filter clock induced charge events from the background. Real time or post-processing. 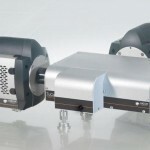 iCam Unique innovation that empowers the iXon to operate with market-leading acquisition efficiency through 3rd party live cell microscopy software. Enhanced Photon Counting Modes Intuitive single photon counting modes to overcome multiplicative noise. Real time or post-processing. 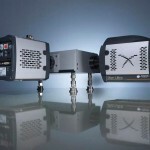 Direct Data Access (iXon Ultra) Unique Camera Link output port to facilitate direct access to raw data for on the fly processing, ideal for applications such as adaptive optics. USB 2.0 (iXon Ultra) True universal ‘plug and play’ interface to PC.